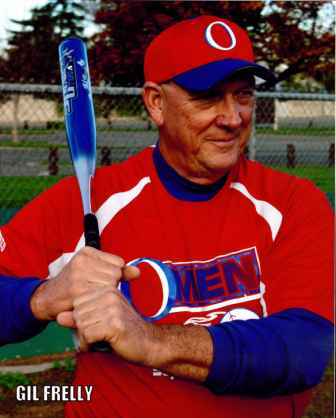 Terry Hennessy wrote, "Dale's exceptional abilities on and off the field have helped not only his team compete at the top level of his division, but he has also been instrumental in promoting the sport throughout the country." "It is indeed telling that Dale led his team to the top award from Senior Softball for 2011: The Sportsmanship of the Year Award." Fran Dowell writes, "Dale exhibits the essence of true sportsmanship at every tournament that he attends. His team has a deep respect for him while playing and coaching, which speaks volumes." Susan McWhorter wrote, "No question about it - I am Dale McWhorter's biggest fan! 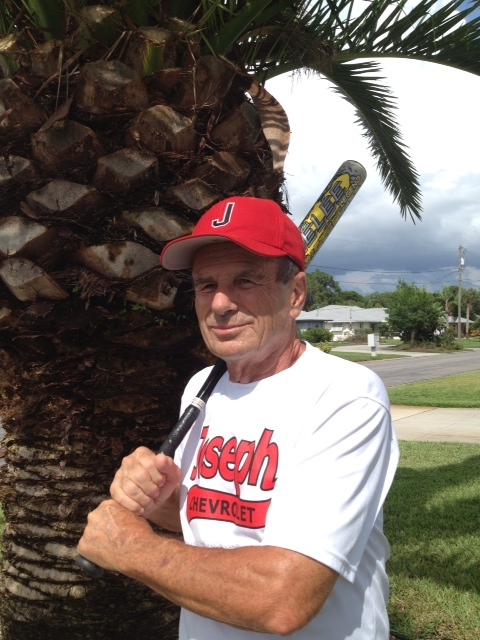 He takes his softball seriously, but as he says, softball is just the excuse for all the amazing personal benefits that come with being a part of this senior softball world. It's true what Dale says - softball is just the excuse, but the excuse WORKS because of the leadership that he provides." Bill Lowry writes, "John has worked tirelessly for many years to provide senior athletes an opportunity to succeed and excel. 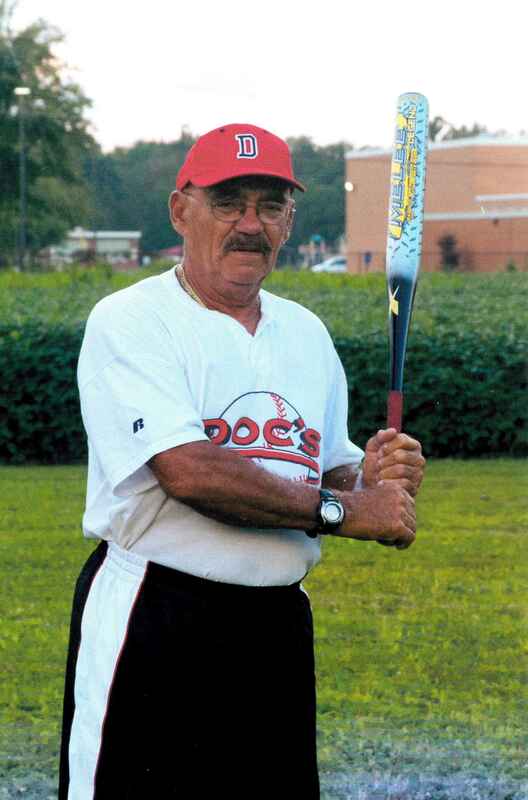 Lou Giovanini wrote, "John has always loved the game of softball, and has devoted a great deal of his time, energy, and money to play competitive Senior softball. He does an excellent job recruiting players, staying in contact with those players and is very loyal to his players." "I have a high regard for those individuals who aspire to be the best in their vocation or avocation. John has exemplified this trait." Norm Ellis says, "Z " (as he is called) "has managed 30 plus first place wins in the top division of play, 65, 70, and 75 major plus. John from the start has said 'We play the best or we don't play at all,' and that is what he has done." Bud Kenan wrote, "If players I know were lined up for selection, Ron would be my first choice without blinking an eye." "Ron is the most active 80-year old player that I have ever met. 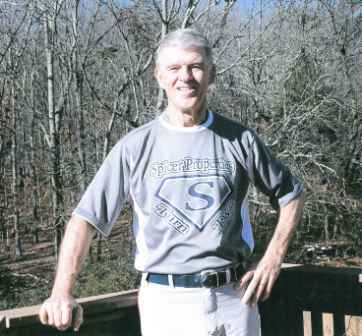 He was also active and excellent during his younger years of playing softball." "Senior Softball needs more extraordinary players such as Ron to carry the torch of the game to those who will follow." Wayne Ellithorpe writes, "Based on his contribution to team play alone, and his modest personality, Ron would be an overwhelming choice for induction. Ron's pitching skills, defensive play and excellent hitting put him in a class by himself." "Whenever the discussion for the formation of a competitive team at the national level occurs, Ron is the first person mentioned to build a successful team around." 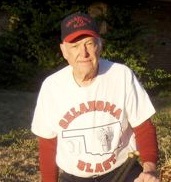 John Zoccano wrote, "Norman has been a main stay on our teams for well over 10 years. He has over a .600 batting average. Norman is an outfielder with great speed and also on the bases. He hits to all fields where his speed takes over. He is a team player that will do anything to help the team, and has inspired many seniors to join leagues in the area." Ray Bosetti wrote, "He can run very fast and uses that asset with his knowledge of base running to run for team players. In playing the outfield, he strengthens his team's defense as he covers a lot of territory, and is sure-handed with an accurate throwing arm. " Dewey McVicker wrote, "Norman is a punch hitter who sprays the ball to all fields and always carries a high batting average. He is a five-star player who is comfortable playing all positions in the outfield. He is always anticipating the next play, throwing to the right base through the cut-off man and backing up all his teammates." Red Jones wrote, "Bill is a pure hitter, team player, someone that's 71 years of age, playing still with our 65 team. I'd like to have more players like Bill in the game - not just for winning, but to be around. It makes the game more enjoyable. Ed Eidt says, "He has been our #1 pitcher and has also played 1st base and in the outfield. He is very well liked by his teammates because of his abilities, and more importantly, his competitiveness, as well as being a good team player. 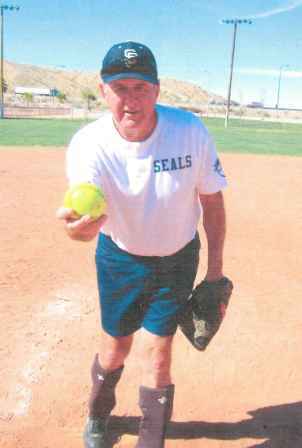 Bill's love of the game of softball is quite obvious." Alison Patton wrote, "He works harder during the season AND off-season, than any other player of which I am aware. He is the consumate 'team player.' Whether it was coming in to pitch relief, play 1st, outfield, be the additional hitter, or take a turn sitting out a game, whatever we asked of him he did, did well, and with a great attitude." Bob Holland writes, "Jim enjoys MVP status on the 74-Major San Francisco Seals as their #1 pitcher, High average power hitter, and 'utility-player-extraordinaire.' His deceptive pitching techniques, as they say, are the stuff of legend…" Jim Wilson wrote, "He is incapable of thowing any pitch straight. His ball either breaks to the hitter or away from him. Jim does the one thing that we defensive players love, he throws strikes!!! Also a very good hitter with good power, he defends his position very well." "Jim's election to the Hall of Fame is overdue, and I sincerely believe that he is an asset to that Hall." Tom Palma says, "Most of Jim's awards have been achieved at the Major Plus level. In addition to his athletic ability, Jim is a great teammate and a true gentleman." Hank Scherer wrote, "Red's skills are well known. He bats over .800, plays shortstop at age 70, gets the best jump on the ball of any player, and is the league's best outfielder. He also gives freely of his time to help any players with their skills. Though a fiery competitor, he is congenial with everyone and works hard at helping players and the league get better." Hugh McMillan wrote, "In all of his endeavors, no matter what capacity, Red exhibits professionalism. He leads by example, inspires with enthusiasm, instructs with knowledge and tempers with self-control. Leadership descends from character; which is obvious from the respect shown by teammates and opposition, alike. He is definitely a player's coach. His energy is tireless and his motives are selfless. Everything is for the betterment of the game." Russ Curtis wrote, "Dave is well known and respected throughout the senior softball community, and treats every player from AA to Major Plus with respect and dignity, they are all equals with Dave. He has great passion for the game and lives and breathes senior softball. Dave is the ultimate 'team first' guy, always putting his team and his teammates in the forefront." "Dave is a great player on the field, he is a good defensive 1st baseman who can play some outfield and can pitch when needed. He is one of the best ball strikers in the game, and he is an extra base hitting machine with good power to all fields. He is an .800 hitter and normally hits in the 3, 4, or 5 hole. Dave is one of the select few guys on a team that you want at the plate when the game is on the line." 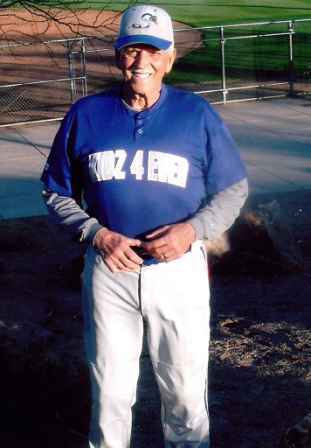 Gary Pro wrote, "Dave is the 'consumate' representative of all the positive aspects of Senior Softball, both on and off the field!" Gary Tryhorn wrote, "David is definitely an impact player at the Major Plus level and has been since he began his senior softball career. He has garnered many awards both locally and at a national level." "Besides being a very good softball player, David excels in the human being department. His demeanor is steady, which helps his teammates maintain control when softball gets exciting on the field. He is a steadying influence who has control of any situation." Otis Menasco wrote, "David has always hit with a high average and gap power to all fields. He is well know by his peers as a competitor who plays the game with passion and integrity." Pat McGuire wrote, "Dave can adeptly play all of the infield positions. His versatility is certainly an asset to those teams he has played with. He is knowledgeable. He is consistently a high average hitter with very good power. He is one of the finest fielding infielders I have had the pleasure of playing with in Senior Softball." Don Ward wrote, "Have watched the magic of Billy's pitching, where he is holding some of the better players of the game hit-less. There is no one better than Billy with two out and getting the big hit to win the game. Both on and off the field, you can see Billy's leadership efforts and directions, which are extremely important in winning all of his teams championships over the past 10 years." R.B. Thomas wrote, "Bill is another special senior player that is a 'Hall of Famer' on and off the field. He is also one of the most admired and respected players by his peers in the game. 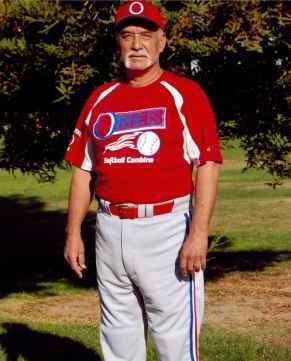 Bill is an outstanding athlete and one of the truly outstanding slowpitch pitchers in the senior game at his age. 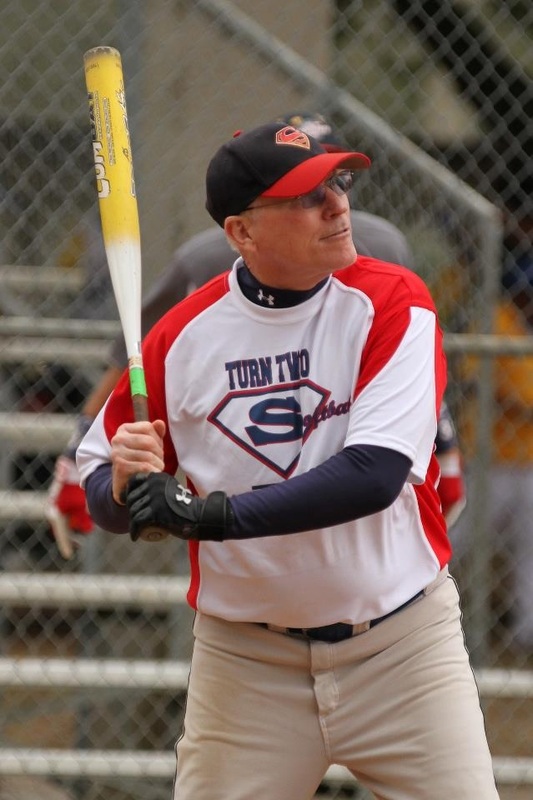 Bill has played on the top rated Major and Major Plus senior teams in the Virginia/Maryland area that have won over 30 National Championships." Don Clatterbough writes, "Not only is Billy a devoted player and team leader, on and off the field, he exhibits character, class, and sportsmanship." Mark McDaniel wrote, "Vern literally has all of the tools. He has great speed, enough so that with each base hit he is thinking about or taking 2nd base. He not only hits for a high average, but can hit for power as well. He has an exceptional arm, and can run down almost any ball in the outfield that he puts his mind to." Joe Read wrote, "Have you heard the saying 'He never takes a play off?' Vern Fowler never takes a play off. It is truly amazing to watch him play. When you play against him, he exhausts you watch him. When you play with him, you are inspired to play to his level." Larry Campbell wrote, "Vern is the last of a dying breed. He plays the game as if his life depended on every move he makes. Speed and tenacity are his greatest assets, while his softball skills are equal to anyone." Gary Shelley wrote, "Vern has always been our leadoff hitting. He hits for strategy; for base hits, but when a home run is needed, 'it's out of the park'. He's the kind of player that would turn most singles into doubles. He's our Pete Rose, our Mr. Hustle." Larry Lopez wrote, "Gil is a consummate hitter who puts in a lot of time honing his craft. He is a veteran, skilled player who plays at the highest levels and takes pride in his performance on the diamond and is not satisfied with anything less that his best. Gil is consistently among the team leaders in batting average and his performance increases as the importance of the games increases." Steve Imlay wrote, "Gil demonstrates all of the skills of a Hall of Famer, but here are the two outstanding tradmarks of Gil's; He consistently demonstrates impactful leadership that a team needs for high level success. He has a unique and timely ability for clutch hitting especially for high level games and without a doubt if the game is on the line I would want Gil to be the hitter." Dr. Thomas Best wrote, "At the Major and major plus levels Gil has been a consistant .700 hitter, and a player that invariable gets more than his share of extra base hits. Over the years he has been on 10 All-World teams at the highest levels -- an indication of his outstanding hitting. He is the player I want on my team when the game is on the line." R.B. Thomas wrote, "Sam was a retired minister, and a truly great individual. One of the most admired and respected players by his peers, his ageless athletic ability was remarkable. The accomplishments of Sam's senior teams speaks load about his ability to solidify the team chemistry to win championships. His ability to play any position at a very high skill level certainly made his a 'manager's player.' He is truly deserving of this honor." 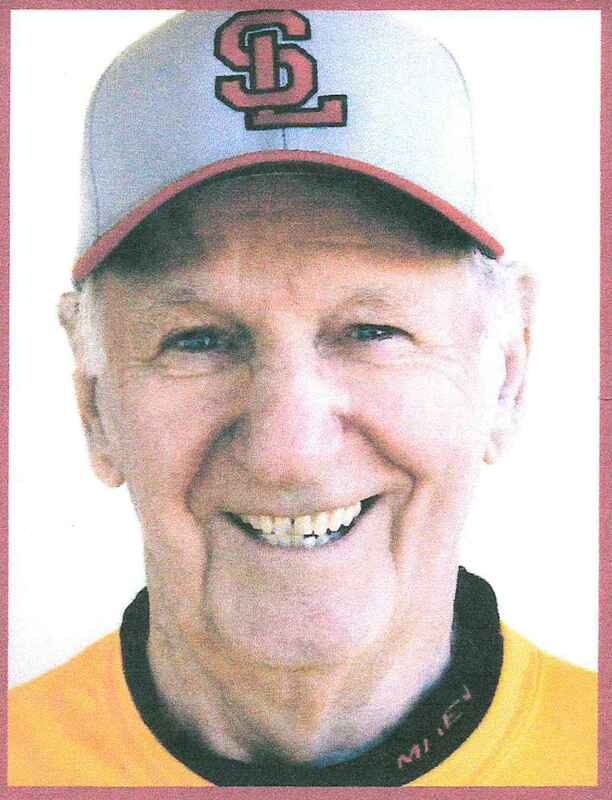 Don Clatterbaugh wrote, "I played against Sammy for years when he played for Thomas Engineering. He was always an intense competitor, and outstanding outfielder, and a gentleman. 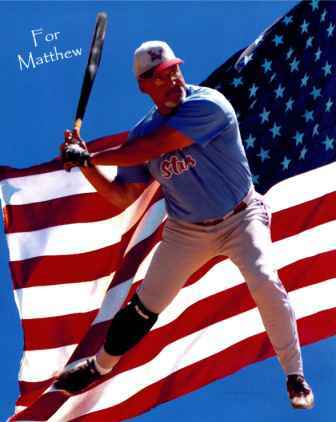 He played with that team for 13 years - winning 31 national championships - where he amassed 11 All World/American awards. In addition he also was awarded Best Defensive and MVP titles." Andy Zitnay wrote, "A quiet man, Sam let his play talk for him, and it spoke volumes." 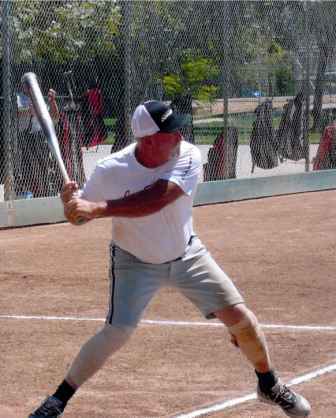 Michael Kelly wrote, "Rick's inspirational attitude along with his excellent defense and high performance offense made Rick Perez my number 1 player year in and year out." Ken Lipinski writes, "Rick Perez is not only a proven winner but a significant builder of 'Team' both in leaderships by example and how he can say, what might appear to be just a minor comment that, yet always has a real message to the recipient. He brings confidence to a team and the players (and manager) that we will succeed and we did." Steven Imlay wrote, "We are speaking about one of the all time great players of this game that we love. Rick has been on multiple National Championship teams. As a player on these teams he was often a leader in several offensive areas including home runs, batting average, and RBI's. He was not only an impressive offensive player, but was consistently one of the best and most versatile defenders playing multiple positions. Rick invested time, practice and conditioning which enabled him to perform at the highest level against the best players and teams in the country and has come away as a true winner." John Davide wrote, "Billy has always his role on his team. Defensively, he has been one of the best left centerfielders in the game. With an accurate arm and great foot speed, Billy can run down most fly balls in the gap. He has a knack for being in the right place at the right time. One of his biggest assets is his determination to win. He always strives for perfection and rarely settles for less." "Offensively, Bill brings another dimension to his game. Being left handed and quick, Billy has often 'legged' out hits and when the defense tries to 'squeeze' him, he has the ability to 'burn' their outfielders." "A fierce competitor who always wants to win, Billy will play through pain if necessary. No one will ever take Bill Rice for anything but an exceptional player to be feared both in the field and at bat." 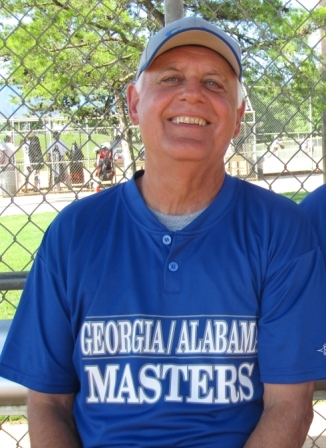 Bob Woodroof wrote, "Audie's team, Hollis Appaisals, has been participating at the Major Plus level for many years, and at times has sponsored more than one team. Whenever we saw the Hollis name on a bracket sheet, we knew that we'd ultimately see them if we expected to win the tourney." 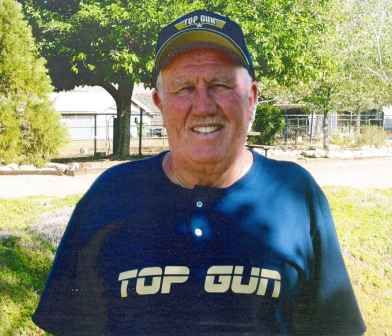 Don Ward wrote, "Audie has provided generous sponsorship for so many senior ball players to have a chance to compete at the highest level in senior ball. 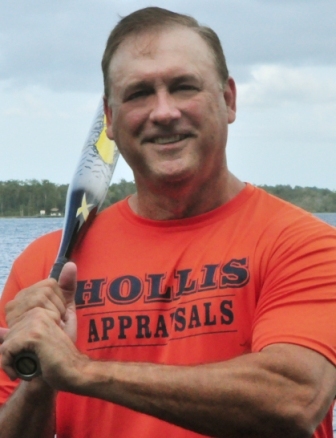 Not another player at any level ever had a deeper connection with or made greater contributions to his community or senior softball than Audie Hollis has through his bond in Jacksonville, FL. Audie exemplies the quality of an outstanding dedicated leader, who possesses personal integrity with a thoughtful communicative style." 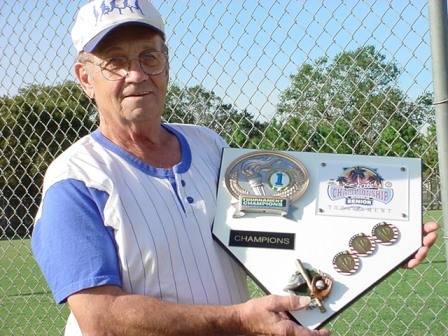 Dave Motta writes, "Audie has made it possible for countless individuals to participate and has always stepped forward to ensure that those who have consistently played or contributed to softball are recognized for their efforts." Alan Smith wrote, "Audie has been a great sponsor, manager, player and an even better person. I'm glad to call him a friend." 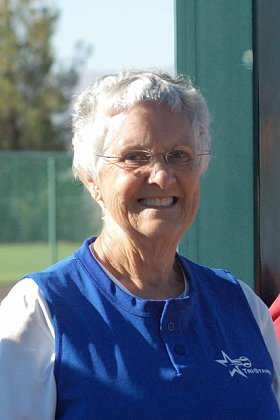 Ruth Fellmeth wrote, "Joan was a wonderful 1st baseman for our team. Her ability to 'stretch' and actually complete a split ganered many an opposing batter. It was always comforting to look across and see her on the bag. She was always an excellent line drive hitter and the more we needed the run, the mor clutch she became." "The most outstanding quality of this beautiful woman was her 'spirit'. She expemplified the meaning of the word in every way imaginable. Her attitude, her passion for softball and her sheer 'guts' to persevere drew her to each and every one on the team." Carol Walther wrote, "Joannie was the BEST woman 1st baseman I have ever seen. She dug throws out of the dirt, with a stretch like any big league baseball player. Joannie was always one of the leading hitters on our team. 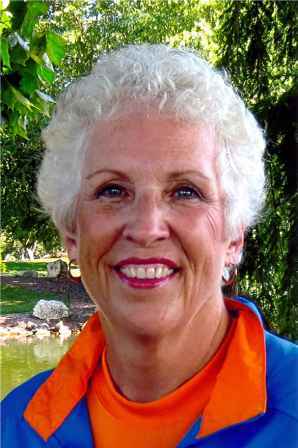 Joannie had a wonderful attitude, and was a joy and good friend to play with." Renee Page wrote, "Ellen can play any of the outfield positions. She is a dedicated player that never misses a practice and will do whatever it takes for the team to succeed. A right field hitter, we used her in the number two batting spot because she can hit to either field to advance the runners. Shirley Grizzle writes, "Ellen exudes the love of the game and promotes the sport where ever she goes. She is a Christian lady on and off the field. She always shows good sportsmanship towards her teammates and her opponents." "Ellen has been a member of 17 State championship teams, 6 World championship teams, and won at least 6 medals in the Senior Olympics." William McPeak wrote, "Ellen exemplifies so many of the skills and traits that make for a marvelous athlete and an even better person. She is highly competitive person with a sense of fairplay who both admires her teammates and respects her opponents." 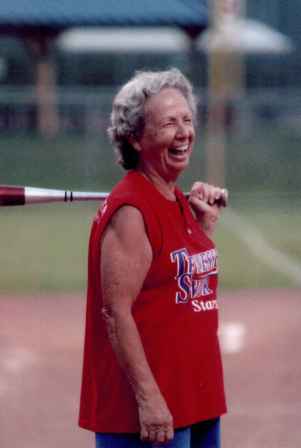 Gwen Cappadona wrote, "Jeannine truly loves, understands and appreciates the game of softball. She plays the game from her heart…and it shows." "A ballplayer like Jeannine Bohn is a rarity…one who is such a pleasure to watch compete with such grace, ease, and love of the game. One whose presence on the field will truly be missed when (and if) she does hang up her spikes." Walter Severhof wrote, "It is extremely hard to find a person who has dedicated their entire life to softball, who really loves the game, and she still has an athletic command of the game." Patricia Blackmon writes, "Nean is a very skilled player. She will give you her all, bruised, banged up, diving for balls and never quitting. Helen Boyd wrote, "She is an excellent athlete, having a strong accurate arm, a great glove and a powerful bat." Missy Patton wrote, "Marsha can play multiple positions including pitcher, at a competitive, focused level. She is a seasoned, talented player who knows the game, never gives up, and certainly never gives in. She is an amazingly consistent hitter, with both long-ball and placement abilities, and has a clear understanding of her job at the plate. And on top of all that, she is a kind and generous person." "Marsha plays smart. She strategizes and adjusts for every play, every batter, taking the overall picture of the game situation into consideration. I think of her often as the hub of the outfield defense." Cyndi Kelly writes, "Marsha is one of the best all-round players I've ever known. She reqularly plays outfield, infield, and pitcher. Sometimes all in one game! Her batting is consistently one of the best on our team and her overall play has frequently won her recognition as All-Tournament and even MVP." Jill Smith wrote, "Marsha's behavior off the field is equally classy. She is relaxed and sociable with spectators, players, and officials. She has said to me more than one 'aren't we lucky to be here doing this?' Oh yes we are, and we are lucky to have people like Marsha to be doing it with, and to be representing women's senior softball."